Join our Pump It Up's Annual Easter Egg Hunt Events!! Be a little bunny and Hop, Hop, Hop!!! 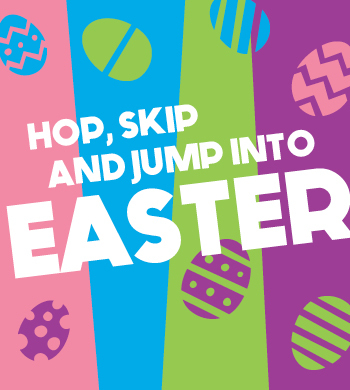 Hunt for Eggs along with hopping, jumping, bouncing and playing on the inflatables. Also, each child will have an opportunity for a picture with our Special Guest Easter Bunny!! Each child will get a Candy Easter Goodie-Bag at the end of the session. Kids don't forget your Easter Baskets to use for the Egg Hunt and Parents be sure to bring your Camera to capture this Special memory. Pizza can be purchased from our Menu at the beginning of the event and eat in our Party room at the end of the event. We have Scheduled more sessions this year on PARENTS DEMAND! Online reservation is highly recommended since prior years were SOLD OUT. Call 510-477-9663 or go to our event calendar to book online!! $15 per child | Parents Play for Free! Visit our events calendar to register for your event! Pump It Up has a very special visitor at our Jump 'N' Eat Easter Event. 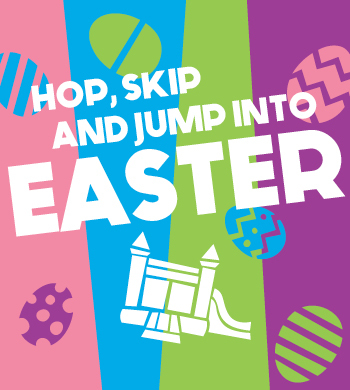 Join our Easter Bunny for Lunch and take pictures while jumping, climbing, and sliding on the inflatables. Every paid admission will includes 2 slices of Pizza & a drink for each child, there will be Bubbles, Glow Lights, our NEW BALLOON DROP & Music, a candy bag for kids and Endless Bouncing fun! Don’t forget to bring your Bunny Ears and Camera to take pictures with the Easter Bunny! You can also order Full Pizzas, Salads, Pasta's or your other favorite Food from our Menu at the time of entrance to the event and enjoy it in the party room after the playtime. 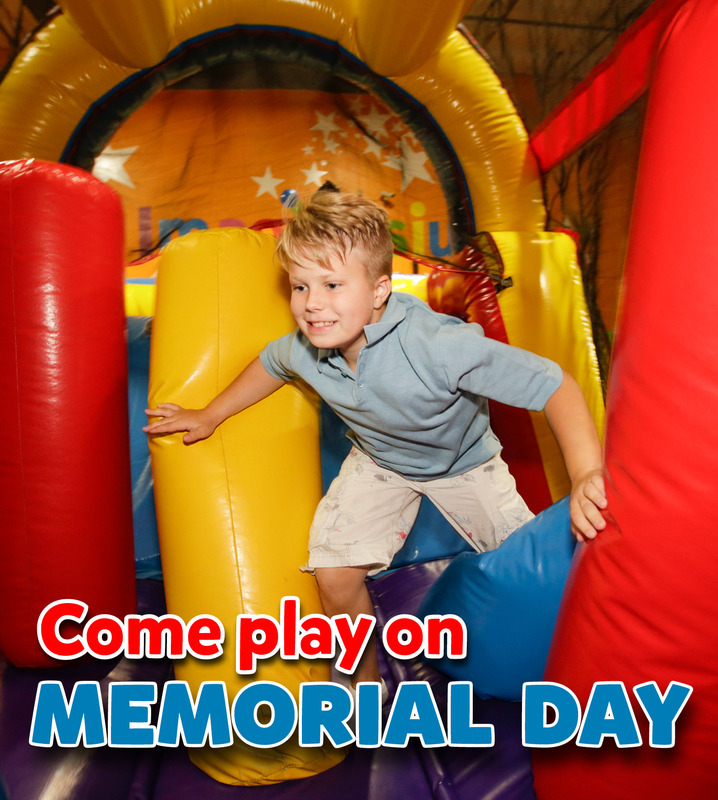 School's Out, Come Play to our Special Memorial Day Jump! Bring your kids to Pump It Up and Join any of our 2-hr Sessions to have fun. See our Events Calendar for more details!! Socks & a Signed waiver are required to Play! SCHOOL'S OUT, COME PLAY. 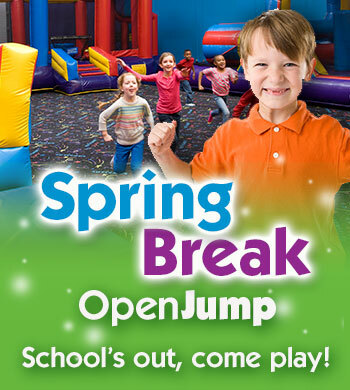 Jump into Spring Break at Pump It Up! Join us during our extended hours for Open Playtime.